PowerStar, is a special finish based on applying a spun bond in propylene to the back of our Jacquard textiles. The process is based on hot-melt technology. An adhesive film is created directly on the back of the textile and coupled with a spun bond in propylene. The sandwich thus made then passes through two cylinders at controlled pressure and temperature to unite the textile with the spun bond permanently in a single product. The quality of adhesive and weight per square metre of the spun bond may vary based on the final use of the product. 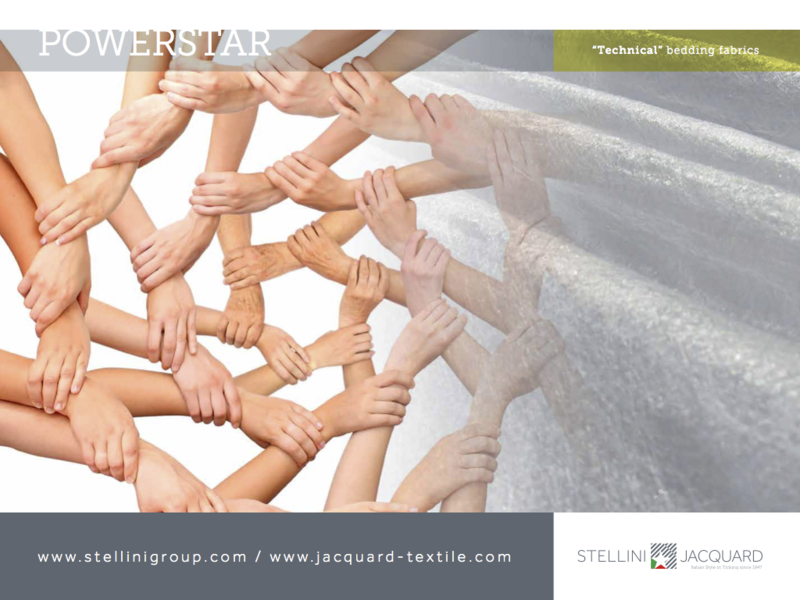 PowerStar increases the strength of our textiles, improving the binding of stitching and workability of the textile.